The Andersons, Maumee, Wine Tasting. 5-7 PM. Staff Picks – Bob’s Picks: 1. Hopler – Gruner Veltliner – Austria, 2. Taburno – Falanghina – Italy, 3. Plan Pegau – Red blend – Southern Rhone, France, 4. Orin Swift Cellars – The Prisoner Red blend – Napa Valley, California. Nominal fee per sample or $8.50 per flight. Anderson's Market, Sylvania, Wine Tasting. 6-8:30 PM. Featured wines: 1. 2008 Teruzzi & Puthod Vernaccia, 2. 2008 X Winery North Coast Winery, 3. 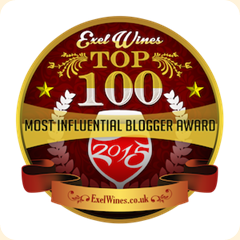 2007 X Winery Red X, 4. 2005 Di Arie Syrah, 5.2006 Gregory Graham Grenache, 6. 2006 The Barrel Blend. Nominal fee. The Andersons, Talmadge Road. Wine Tasting, 6-8 PM. Don’t Fool With Me! Wines to amuse your palate: 1. Wise Guy Sauvignon Blanc, Columbia Valley, 2. Verget Macon Villages Chardonnay, France, 3. Wrongo Dongo, Spain, 4. 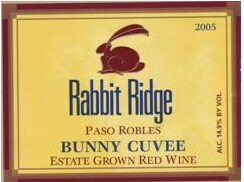 Rabbit Ridge Bunny Cuvee, Paso Robles, 5. Raw Power Shiraz, Australia, 6. Rootstock Cellars 99W Pinot Noir, Willamette Valley, 7. Powers Meritage, Columbia Valley, 8. Rosa di Rosa, Italy. Nominal fee per sample. Vino 100 Shop and Wine Bar, Promenade West, 3355 Briarfield Blvd, Suite D, Maumee -- (419) 866-8466. Noon to 10 PM. Live music scheduled 7:30 to 10:30 PM. Jason Quick will be playing acoustic guitar. * Special Event * Wine by the Glass Pavilion Winemakers Series, Toledo Museum of Art Glass Pavilion, 2445 Monroe St., 7:00 to 9:30 p.m. Ampelos Cellars with special guest Rebecca Work, co-owner and co-winemaker. Enjoy four wines, light snacks, and a view of glassmakers working in the Hot Shop.Cost is $15 for museum members and $20 for non-members. Aficionado Wine and Cigars, The Shoppes at RiverPlace, 26567 N. Dixie Highway, Suite 135, Perrysburg, (419-873-4444). 5:00 – 8:30 p.m. Easter Wines: 1.Ogier Caves du Papes Rosé, 2.J.K. Carriere "Glass" White Pinot Noir, 3.Leelanau Late Harvest Riesling, 4.Rabbit Ridge "Bunny Cuveé"$10 tasting. The Andersons, Woodville, Wine Tasting. 1-3 PM. Wines for Easter Dinner: 1. Bortoloti Sparkling Rose Brut, Italy, 2. Cupcake 2008 Riesling Columbia Valley, 3. Grayson Cellars 2008 Pinot Noir California, 4. Frost Bitten Ice Riesling. Nominal fee per sample or $2.50 per flight. Walt Churchill’s Market, 3320 Briarfield. Maumee, (419) 794-4000. Noon to 5:00 p.m. Napa Valley Part 1 – Lagier Meredith & More… Premium tasting, special pricing applies. Pay by the sample or flight.